This content is provided by Malcolm S Dorris. Malcolm S. Dorris has over 25 years of experience in the securitization area. He has worked on public and private transactions spanning a wide variety of asset types, including auto loans and leases; rental cars; credit card, equipment lease and trade receivables; residential and commercial mortgage loans; middle-market corporate loans; and such esoteric asset types as 12b-1 mutual fund fees, healthcare receivables, pharmaceutical royalty rights, film distribution rights and refund anticipation loans. 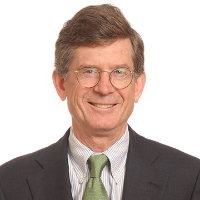 In addition to serving as outside counsel to an international rating agency, he has advised borrowers, commercial and investment banks, and financial guarantors on securitization issues.